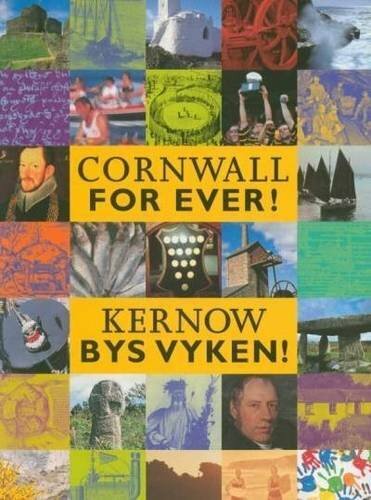 The Great Emigration | Cornwall For Ever! Between 1815 and 1920 many thousands of people emigrated (moved) from Cornwall to seek a better life. Some went to different parts of Britain, while others moved overseas to countries like the USA, Australia and South Africa. Today, we would describe many of these people as ‘economic migrants’. As a result of the Great Emigration, there are now more than six million people of Cornish descent around the world. Yntra 1815 ha 1920 lies mil a dus a omdhivroas dhyworth Kernow rag hwilas bewnans gwell. Nebes anedha eth dhe rannow dyffrans a Vreten, ha re erel eth tramor dhe vroyow kepar ha’n SUA, Ostrali hag Afrika Dhyghow. Hedhyw ni a dheskrifsa lies a’n dus ma avel ‘divroegyon erbysiethek’. Avel sewyans a’n Divroans Meur, yma lemmyn moy ages hwegh milvil a dus a-dro dhe’n norvys a’s teves hendasow a dheuth dhyworth Kernow. The Empress of China, built at Padstow, took hundreds of Cornish emigrants to Australia. An economic depression (lower wages and unemployment) followed the end of the Napoleonic Wars. It affected farmers and farm workers in Cornwall, particularly in the northeast around Bude. High rents, high taxes and a lack of jobs forced whole families to emigrate to the USA and Canada. Many of the families leaving Cornwall for the USA were Methodists. They felt that they did not belong to the Church of England and disliked paying tithes (taxes) to the Church. Some saw emigration to the USA as a chance to start a new life, free from religious and economic struggles. Between 1815 and 1830, some countries in South America gained independence from Spain and Portugal. This meant there was now opportunities for Cornish mine workers to travel to Brazil, Mexico, Colombia, Peru and Chile to work in the gold, silver and copper mines. Richard Trevithick left his family to work in South America at this time. In the 1840s, a disease hit potato crops, meaning that they could not be eaten. Many poorer people in Ireland, parts of Scotland and Cornwall faced starvation, as they had nothing else to eat. Some said that the British government didn’t care about poor people starving, and that it was encouraging people to leave by offering free journeys abroad. Hundreds more families left Cornwall to escape starvation and start new lives overseas. When gold was discovered in the USA in 1848, miners from Cornwall, and Cornish miners who had settled in other countries, rushed to California to make their fortune. Cornish miners in America practising for the fourth of July drilling competitions. In 1852, £1,500 was worth the same as nearly £150,000 in today’s money. Cornish Miners at the New Almaden Mine in California, United States. In 1859, large amounts of copper were discovered in South Australia. Many hundreds of Cornish miners moved there with their families, and introduced things like Cornish wrestling, pasties, Methodism and brass bands. So many Cornish people settled in this area that it became known as ‘Australia’s Little Cornwall’. Because copper had been discovered in large quantities elsewhere in the world, the price paid for it in Cornwall fell dramatically. In 1866, Cornish copper mines closed, putting lots of people out of work. However, Cornish miners had a reputation for being the best in world, and many found work in mines already set up by Cornishmen in the USA and Australia. In 1870, the price paid for tin in Cornwall collapsed and tin mines began to close. The economic depression was also affecting farmers and other workers. For many people, emigration was still the only option. Cornish miners underground, at Wallaroo Mines, South Australia. Moonta Mines in South Australia, the heart of 'Australia's Little Cornwall', in 1897. Towards the end of the 1800s, diamond and gold mines began opening up in South Africa. Many Cornish miners travelled to South Africa to work in these mines, but fewer men stayed permanently. Richard Trevithick’s development of the steam engine had led to the creation of steam ships. These made travel overseas quicker and safer. Faster travel meant that Cornish miners could go abroad for short periods to work and then return home. While they were overseas, the Cornish miners sent money back to their families. By the end of the 1800s, around £1 million was being sent back to Cornwall from South Africa every year. By the end of the First World War (1914-1918), fewer people were emigrating. However, Cornwall’s population continued to decline until the late 1960s. The Union Castle liner Arndale Castle which carried many Cornish miners between Southhampton and Cape Town. There are Cornish Associations and Societies all over the world amongst people of Cornish descent. St Piran’s Day is celebrated as far away as Grass Valley, California, in the USA. A large Cornish festival called Kernewek Lowender (which means Cornish Happiness) is also held in Australia. It is thought that around 250,000 people left Cornwall to go overseas between 1815 and 1920. Almost the same number of people left to find work elsewhere in Britain and Ireland. Cornish people moved to mines in the northeast of England, north Wales, Scotland and Ireland. Two Prime Ministers of Australia have been of Cornish descent: Robert Menzies and Bob Hawke. Mary Holman, the first female Australian Labor Party Member, was also of Cornish descent. See the records of people who emigrated from Cornwall.